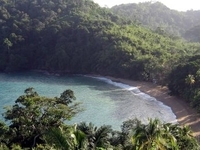 Travelers are voting Englishman\'s Bay, Claxton Bay and Galera Point as the best of 3 coastal areas in Trinidad and Tobago. Want more? Check out our map of coastal areas in Trinidad and Tobago or this 1 coastal areas near Port of Spain.